ABC Broadcasts Hot Wheels® World Record-Breaking Distance Jump Attempt at the "IZOD Presents Hot Wheels Fearless at the 500™" | Mattel Inc.
ABC Broadcasts Hot Wheels® World Record-Breaking Distance Jump Attempt at the "IZOD Presents Hot Wheels Fearless at the 500™"
EL SEGUNDO, Calif.--(BUSINESS WIRE)-- On Sunday, May 29, fans across the country will be able to tune in to ABC and watch as history is made with "IZOD Presents Hot Wheels Fearless at the 500™" — an epic attempt by Team Hot Wheels™, the newly introduced crew of stunt drivers to break the current four-wheel vehicle distance jump record of 302 feet at the 100th anniversary of the Indianapolis 500 at the Indianapolis Motor Speedway (IMS). 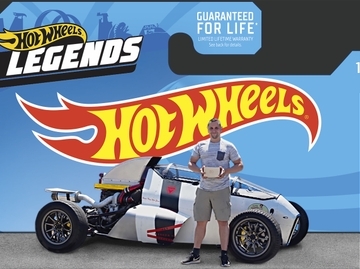 The 30-minute televised special will feature an exclusive inside look at what it takes to drive Hot Wheels® into reality with three high-octane vehicle test experiments taking place throughout the world — in the UK, Brazil and culminating with the thrilling record distance jump attempt at the Indianapolis 500. 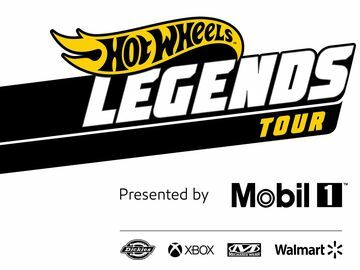 Fans tuning in will get to see Team Hot Wheels™ Yellow Driver take on the 10-story high (100 feet tall) V-Drop® jump inspired by the iconic Hot Wheels® track set in an attempt to make history within the infield of the Indianapolis Motor Speedway. ABC: On Sunday at 3:30 pm ET, fans can tune in to ABC for a 30-minute televised action-packed special that features an inside look at how Hot Wheels® tests their vehicles in the real-world and the "IZOD Presents Hot Wheels Fearless at the 500™" stunt jump. GetGlue: A leading social network tool for entertainment, GetGlue allows users to check into TV events and shows, movies, music and books, plus see what their friends are consuming in real-time. On Sunday, fans watching from home will be able to check in to the "IZOD Presents Hot Wheels Fearless at the 500™" and receive a badge to commemorate the jaw-dropping moment. Verizon: In an exclusive partnership with Verizon, fans will be able to watch never-before-seen video content around the stunt and Team Hot Wheels™ via the IndyCar Mobile app on select Verizon Wireless smartphones. Facebook and Twitter: Fans can get real-time updates for Team Hot Wheels™ through their favorite social media channels including: Facebook and Twitter. Additional behind-the-scenes footage and interviews with the newly unveiled Yellow Driver will also be available on Facebook right post ABC special. Team Hot Wheels Flame Riders™ Game App: Hot Wheels® unveils its first mobile game app, Team Hot Wheels Flame Riders™, for the iPhone and iPod touch. A fast-paced racing game featuring innovative on-screen "line racing" action, players must drag and draw orange track with their finger in an attempt to avoid oncoming obstacles within several iconic Hot Wheels® environments. In celebration of the 100th anniversary of the Indianapolis 500, fans can download the app for free from Friday, May 27 — Sunday, May 29 from the App Store. To promote the stunt, presenting sponsor IZOD is featuring the Hot Wheels® stunt in an integrated ad campaign for the Indianapolis 500. The ad campaign is targeted to drive tune-in and awareness of the stunt and will feature placements in key lifestyle publications, as well as on multiple high profile New York City billboards. PLEASE VISIT WWW.HOTWHEELSMEDIA.COM FOR ADDITIONAL PRESS INFORMATION, HIGH RESOLUTION IMAGES OR BROADCAST-QUALITY, DOWNLOADABLE B-ROLL.